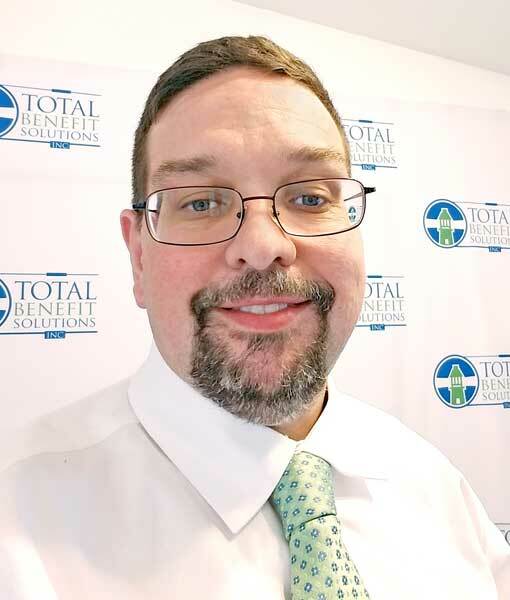 Total Benefit Solutions: A committed team focused on ‘clients first’ for health insurance - Times Publishing Newspapers, Inc. Looking for affordable health insurance but not sure where to start? Seeking the correct health insurance with benefits fit to your needs can be a daunting task, one that you should leave in the hands of caring and compassionate professionals. Total Benefit Solutions, Inc. (TBS) is the right place to get the advice and assistance you need in order to make the best enrollment decision whether you’re a family, senior or company. Ed and Kathleen MacConnell began this agency inspired by their own difficulties in receiving insurance coverage for their daughter Katelin, who was born needing a liver transplant. During their frustrated struggle to find coverage for Katelin, the couple became health insurance experts by accident, well-versed in health insurance rules and regulations. After 25 years in the business, Ed and Kathleen strive to always represent clients and advocate for their best interests in all areas including rates, claims, service, denials and appeals. Health insurance is a specialty – each client has their own unique set of circumstances that require customized solutions tailored to fit individual needs. Often, people can end up paying penalties or a lot of money out of pocket when they choose the incorrect insurance plans. When you contact TBS, you’ll receive a licensed, experienced, certified and insured independent broker along with your policy to support you, your family or your group along with a team of dedicated service specialists. Working with TBS means they represent you – not an insurance company or government agency. TBS is also dedicated to work with organizations and help them pick the best employee benefits. Rest assured, your best interests (whatever they may be) are always in mind with TBS and their dedicated, full-time support staff. TBS will compare all the available plans to guide you through the often-difficult decision-making and enrollment process. Even after enrollment, they act as your advocate all year. Open Enrollment 2018 begins on October 15th for Medicare Beneficiaries and ends on December 7th. For individuals and families on an Affordable Care Act approved policy through the Exchange, Open Enrollment begins on November 1st and ends on December 15th. Both Open Enrollment plans begin on January 1st, 2019. You may qualify for a Special Enrollment Period if you’ve had certain life events, including losing health coverage, moving, getting married, having a baby, etc. Contact TBS today and see if you qualify. In addition to regular health insurance, TBS also specializes in underwritten and self-insured plans, among others. Whatever you’re seeking, leave the decision-making to those with years of experience who have your best interest as their goal. Become a big fish in a small pond – ensure your needs are considered and handled with care when picking health insurance. It’s as easy as picking up the phone and dialing 215-355-2121 to speak with a member of their team and find the solution that’s right for you! Their location is 427 E Street Road, Feasterville, and they are open daily from 9:00am until 5:00pm or by appointment. Find out more on their website, www.totalbenefits.net.